Skateboard is sports equipment used for skateboarding, an action sports involving performance and riding tricks using a skateboard. Skateboards are used for two purposes mainly, as a recreational activity and for entertainment purpose for teenagers and as a method of transportation over the years. Kids and teenagers enjoy riding skateboards and have beneficial effects on physical health and flexibility in the body, and any physical activity is useful for stress relieving. Skateboards are available with different kind of styles, types, sizes, shapes, colors, patterns and of different types of tricks. Simple skateboards are best for beginners to learn the art of skateboarding quickly. There are different types of skateboards which have evolved throughout the years. You can find skateboards according to your need and activity. Shortboard: Shortboard is the shortest style of skateboard typically used for beginners. If you’re headed towards a street or park skating, a shortboard style skateboard will be a perfect one for that. You can perform tricks efficiently with this one. Cruiser: Cruiser skateboards are pliant and adaptable, which makes them perfect for cruising in the street. Street skateboarding has become comfortable with cruiser skateboard. Old school: Old school skateboards are classic skateboards that were used in the ancient times and are not commonly used today. Old school skateboards are an excellent choice for carving the streets, skating ramps or pools. Choosing the right size of the skateboard is very important. You can select skateboard according to your age and height. Full size skateboards are best for kids over age 13. Midsize skateboards are for 9-12 years kids. Micro for five years old or younger. There are multiple styles of skateboarding for every rider. Riders can adopt any style they want to and can have different ways of fun to experience while skateboarding. Freestyle: freestyle skateboarding is the conventional style of skateboarding that was popular in past years of skateboarding. It is one of the most natural methods of skateboarding and is suitable for beginners. Different types of skateboards can be used for freestyle skateboarding. Street style: street style skateboarding is the standard style seen on the streets. For this style, riders use flatlands, even and uneven surfaces, rails, stairs, benches, ditches, handrails, and bins to try out the number of tricks. Vert Pool: This style of skateboarding is only performed on a skate ramp and genuinely vertical walls. Vert skateboarding popularized rapidly and became a familiar style of skateboarding and got included in many competitions and events. Park Style: Skateparks are specially made for this style of skateboarding, which combines vert pool and street style skateboarding. These parks also organize competitions and tournaments for riders. Riders can learn initial skateboarding in these skate parks. Cruising: Cruiser skateboards are used for cruising. This style is used mainly for transportation. It is just about pushing around the wheels and an easy way to get from one place to other. Off-Road: This style is for riding on uneven surfaces which are not concrete and made up of dirt only. This style is fun but can be dangerous at times because the cover is made up of clay just and can be easy to fall off while skateboarding. Longboard is a modern version of conventional skateboards. Longboard is a type of skateboard which is longer and has a vast range and variety of shapes. It is faster because of its size, construction materials, and hardware. They are usually used for downhill racing and cruising. Riding a longboard is known as longboarding. People nowadays are using longboards for commuting mostly. Longboards are the future of skateboards. There are different types, shapes, styles of longboards. Downhill: downhill longboards are made for riding down the hills. One major problem faced while moving downhill is speed escalation, but with high-quality downhill longboards, this problem is eliminated. Carving longboards: carving with a longboard means to turn back and forth and to gain speed with the flow. Carving is a difficult technique to learn but with practice, with the particular carving longboard it can be mastered, and you can quickly tackle any obstacle and swept past of them quickly and smoothly. Drop Through: This longboard is made for relaxed longboarding and has better stability for safe and comfortable longboarding. They are stylish, and you can experience a free ride with a drop through longboards. Bamboo: These longboards are economical, cheap, flexible and very light to use. High-quality bamboo longboards allow you to have excellent performance and fun. It’s lightweight and organic look makes it cool. Cruising: The primary purpose of longboards are cruising, and cruising longboards are perfect for that. They have long and broader decks and wheels and provides excellent stability and makes traveling more comfortable and fun. Pintail longboards: Pintail longboards are the fashionable and classic style of the longboard. They are ideal for beginners and fun to ride. They are great for cruising. Blunt longboards: Blunt longboards are great for cruising, and downhill.T hey are easy to ride and control. They have better stability. Fishtail longboards: Fishtail longboards are quite similar to pintail longboards. Just like pintail, it comes with a split tail resembling a fishtail. It helps to make sharp turns with ease. Mini cruiser longboards: mini cruiser longboards are for professional riders individually. Their high speed and sharp turning ability is not suitable for beginners and gives an adventurous and faster ride. Cut-out longboards: These allow bidirectional longboarding with better stability and high speed. They are best for downhill, free riding and freestyle riding. Speed board longboards: As the name suggests, they are mainly designed for faster speed. Drop down longboards: Drop down Longboards has a lower deck and nose that adds more stability and allows the rider to enjoy a comfortable long ride as pushing becomes easier. Drop down Longboards are paired with cut-out shaped decks, to provide a wheel clearance. Cruising: Cruising style of longboarding is mainly for commuting.T his style is for beginners primarily because it is easy to ride. It allows gentle rides, and you have fun cruising around. Freestyle: This style is suitable for performing tricks and experiencing new techniques. This is an old style of skating. Freeride: Free ride allows you to ride on hills or streets and carving downhill. 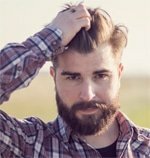 This style requires technical maneuvers so you should practice it regularly to reach perfection. Down Hill: This style is for fast downhill racing. This is done mostly in a square format and with speed. As defined above in the article that skateboards and longboards have significant differences from each other. Longboard, in fact, is just a more extended version of a skateboard. They are both sports equipment but have different sizes, shapes, and functions. 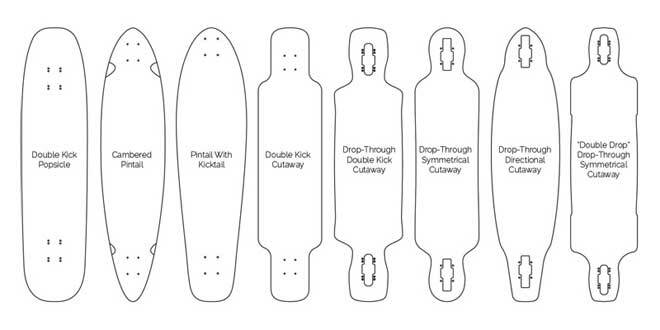 Many people are not aware of its differences so here are all the ways skateboards differ from longboards. longboards are easy for commuting and travel on street, sidewalk surfaces and pavement. Skateboards have smaller and harder wheels which make them better for tricks but traveling with them takes time. Longboards are bulky and heavier which makes them difficult to carry indoors and to picnic or camping. Skateboards are lighter and smaller, which make them easy to carry around. Longboard provides balance and stability because of its design. Skateboards are not as good at balancing as longboards. Skateboards functions are prominently performing tricks, vert pool, off-road, park style are the most famous forms of skateboarding and leave the viewers in awe. Longboards are more substantial, so it is difficult to perform tricks with them, but they are great for cruising and commuting. They can be safer and reliable than skateboards for traveling. Many people confuse skateboards with longboards when Skateboards are utterly different from longboards in construction, function, and tricks. Before buying any board, you must check your preferences, riding styles and skills you want to play. This is important to consider because it determines which board will serve you the best, skateboard or a longboard.